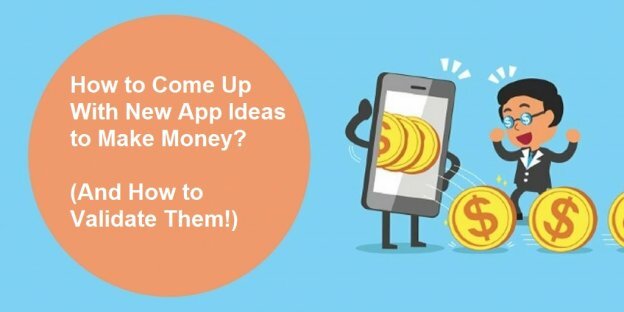 How to come up with new mobile app ideas to make money. How to validate your mobile app idea to ensure it’s worth investing time and money. We’re into mobile app development services for almost 7 years, which is why we know for a fact that one of the best businesses to be in these days is the mobile app business. We’ve witnessed many entrepreneurs establishing successful startups and businesses based on their new app ideas and getting millions of dollars in fundings. In fact, we’ve worked with dozens of them. Recently we developed MRSOOL, an on-demand app, which is ranked at number 1 position in Business apps category in Saudi Arabia. Furthermore, within just 6 months of launch, MRSOOL has already completed 600k+ deliveries and has been reached 300k+ downloads. Another example is Glovo, an on-demand courier delivery app, that received €5M in Funding. For further details regarding our previous works, please visit our portfolio. Besides our clients, there are also many mobile app startups which are widely popular for their services. Uber is valued at over $60 billion. Snap just went public and has a market capitalization of $33 billion. Pokemon Go generated $1 billion in revenues in 2016. Headlines like these always tempt us to go out, hire mobile app developers to build an app, and become famous. The only problem here is, It’s not that simple. Moreover, many people still have the wrong idea about mobile apps. There are plenty of apps that don’t make money and aren’t meant to. There are also plenty of ways to make money that don’t involve apps. Now, of course, we’re here to learn to come up with new app ideas to make money, therefore we’ll eliminate app ideas which are not meant to make money, and move onto the main subject. To begin, the first thing you’ll need to do is come up with a good idea for creating a mobile app. Ok, that was obvious. But the best way to come up with new app ideas is to find a specific problem and build a mobile app solution for that particular solution. While you’re brainstorming or trying to find problems to solve, keep in mind to identify a problem that you have an experience with. For example, the founders of Uber, Travis Kalanick and Garrett Camp, had trouble hailing a cab in Paris where they were attending a meetup. 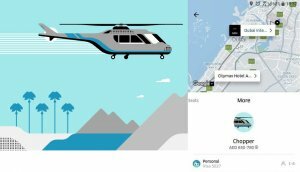 So they came up with a simple app idea – Tap a button, get a cab. That’s how Uber was born. Identifying similar problems like this will give a head start in knowing how to come up with a solution. Additionally, remember that there can be multiple solutions to any one problem. Take taxis, for example, there are multiple solutions available in the market for the same problem. Lyft, Ola, BlaBlaCar, Gett, and many existing taxi companies have also developed a mobile app solution for this problem. Point is, don’t get discouraged if you see two or three apps solving a problem one way. Instead, think of a different approach that solves the same problem but in a more effective and cheaper manner. Now, if you’re not being able to find a problem, then try tactics to get new app ideas. Check apps in the top categories that interest you and find what problems other entrepreneurs’ apps are solving. Secret Tip: Check top grossing apps in the chart to find what type of apps are best money-makers. Next, think of keywords that are related to the categories which interest you. For example, you can search fitness, diet, marketing, productivity, travelling, etc. Search those keywords in the App Store to check what apps return and what kind of solutions they present. 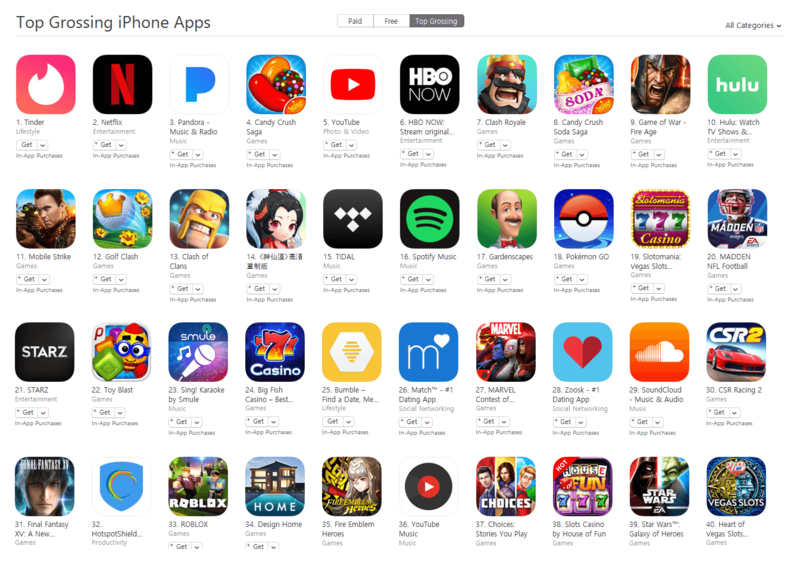 Besides this, you can also go to featured apps section in the App Store and see different categories of mobile apps featured in Google and Apple App Store. Many times, apps are featured in a particular category/theme, such as Enhanced for 3D Touch, apps for medical patients, apps to track your time, and so on. To find new app ideas outside the app store, you can check projects on Kickstarter, browse through startups on Angel List, or also check the daily Product Hunt’s postings. By attending such meetups, you’ll get to hear some other people’s app ideas. And even if you still don’t come up with an idea of your own after attending meetups, you will at least become more energized and motivated to come up with one. Again, you can go to Kickstarter to find out which startups are getting funded currently. However, besides this, you can also regularly check VCs, accelerators, and other startup investors’ websites and blogs to find out what type of startup ideas they’d like to fund. For instance, you can go to YCombinator’s Request for Startups page. This website also collects a list of all accelerators who fund new business ventures and to come up with the latest business ideas. The market that you are targeting will play an important role and it can have a huge impact on the success of your new mobile app idea. 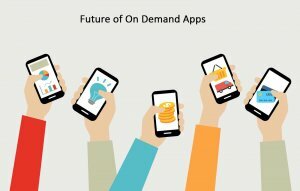 You can identify a lot of new and unique mobile app ideas by just analyzing the need of the market. For instance, Brian Wong also came up with Kiip by just doing the same market research. When he was travelling abroad, he noticed that a lot of passengers were making of their devices in order to play games. He noticed the on-screen ads that were little value to users. Then, he came up with the idea to allow game players to earn some real-life rewards for engagement. And Kiip was born. Therefore, identifying the market will not only help you to come-up new app ideas but also help you to check the market standing. First, you can launch your application in a beta phase and make use of the lean startup methodology to ensure that your target market actually needs your application. Once you’ve come up with new app ideas, it’s time to do some digging before actually getting started with building an app. Remember, this is the most critical and vital step which should not be skipped, as it makes sure that your money and time invested in converting your idea into a mobile app, will be well-invested. Following are the various tactics that can help to validate your application ideas. Find out apps that currently solve the problem for which you want to build an app, and insert those existing apps into the following tools. AppTweak (ASO Tool): is any of the existing apps in the top charts? How consistently they’re ranking and at what position? Were they ever got featured on the App Store homepage? If you find these existing apps earning good downloads, and is in top ranks, then it means the app idea is valid and it’s worth taking the risk. CrunchBase: Once you find apps earning good ranking and download, it’s also a good idea to check whether it raised any fundings or not. If they have raised some funds, it means that Investors believe the app idea is good. Once you have an app idea, think of 5 different keywords that may describe your app and search for their volumes in any of the following keyword tools. AppAnnie – Once you make a list of 5 different keywords related to your mobile app idea, plug them into AppAnnie. This ASO tool will return the search popularity or search volume of those keywords. A higher search volume (around 30-40+) means those keywords are popular among users, meaning your idea is valid. Google Keyword Planner Tool – If you want to know details on keywords such as how many searches occur on particular keywords per month, then use the Google Keyword Planner Tool. Once you know there are enough people who might be interested in your product, it’s time that you reach out and ask your potential users what they think of your new app idea. Here’s how you can get started. Reddit: you can find relevant subreddits by searching or post a question in Startups subreddit to ask people if they think your idea is good. Reddit users are some of the most engaged, digital community members on the web who can give you feedback pretty quickly. Twitter: Twitter is next good option where you can ask people by creating a Twitter Poll to see that to what degree they would rate your app idea, are they willing to pay for it, and if they are, then how much? Make sure that you offer both positive and negative response in your Twitter Poll so that you can receive objective feedback. Other Social Channels: You can also reach out to your potential users by posting questions in LinkedIn or Facebook groups, tell people you’ve got an idea, and ask them to share their opinion about it. If your mobile app idea has made it this far, then congratulations, your idea is now among many great app ideas. Now it’s time that you get started with mobile app development. The first step in creating a mobile app is a basic understanding of your options. Mobile apps can be developed in two formats. Both looks and feels similar, but they’re quite different from one another. Native Applications: in simple words, a native app is a piece of software for smartphones and tablets. They are built specifically for each mobile platform (iOS or Android) and installed on the device itself. Just like Windows software don’t work on Mac, an iOS application won’t run on an Android device and vice-versa. So, if your potential users on both platforms, then you must build separate mobile apps for each platform. Mobile Web Applications: a mobile web application is also an application formatted to use on a smartphone or tablet. These apps are accessed through the device’s web browser, which means they do not require to be installed on smartphones. In other words, they’re platform independent. While mobile web apps might seem like a better option, but the truth is that native applications have better advantages over mobile web apps. For example, it’s easy to retain your users with the help of push notifications and sending out new deals and discount offers. Another advantage is that you can always track app usage easily by users and take feedback from them to improve your mobile app to their likings. Most importantly, app monetization with native apps is quite simple. You can monetize your app easily by way of advertisements, charging membership fees, in-app purchases, and some other proven ways. Now, there is no need to think about how to make money from apps, just work on different proven ways. Now, to keep the learning going along the side, you may also consider the following steps. Step:1 – Determine your app goal (e.g. I want 100 downloads in the first week). Step:2 – Determine app budget (how much money you would pay to developers for building a mobile app). Step:3 – Define your marketing strategy (on which channels you’ll advertise). Step:4 – Execute your defined marketing strategy (create and curate content, setup analytic tools, etc). Building an app is one of the best ways to get into the startup world and make money with mobile apps. Consider all the above aspects to come up with new app ideas, and feel free to contact us if you’d like to know about the mobile app development process and our services. This page was last edited on April 8th, 2019, at 9:40. 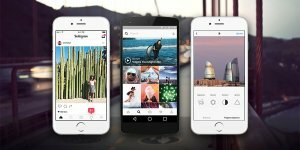 Have a Great Mobile App Idea? Get Its Accurate Cost and Free Consultation Now!